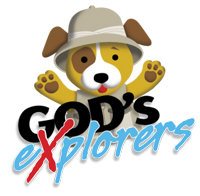 ​God’s Explorers for Primaries (K – 2nd) is a two-year curriculum that spends a quarter on each of the seven BuildUP aims with a special emphasis in an eighth quarter on worship and prayer. Primary students are introduced to the basics of maturity in Christ on an age-appropriate level. The Primary curriculum provides an excellent opportunity for students to trust in Christ as their Savior and then to begin to grow as new believers. Faith Detectives for Juniors (3rd –6th) is a two-year curriculum that spends a quarter on each of Jesus’ aims with an additional quarter reinforcing truths about worship and prayer. The Junior curriculum is an age-appropriate discipleship course that encourages students to live out their faith. Students learn to study and respond to God’s Word as they complete weekly devotionals called Bible Investigation Files. 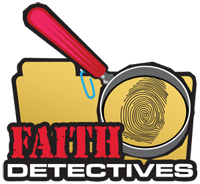 Faith Detectives forms a valuable opportunity for students to learn to live like Christ.